We are living in a Digital Age. For organizations to remain competitive, they must develop and execute robust http://flevy.com/blog/wp-content/uploads/2018/11/Customer-solutioons-ecosystem-pic1.jpg 603w" sizes="(max-width: 300px) 100vw, 300px">Digital Transformation Strategies. Organizations that have excelled in Digital Transformation distinguish themselves through the mastery of the 4 critical Business Ecosystems. In this article, let us focus on the Customer Solutions Ecosystem. The Customer Solutions Ecosystem is the Service Value Layer Business Model. It includes distinctive products and services that companies can best offer to customers. To create additional value, the Customer Solutions Ecosystem integrated external entities. A cutting-edge Customer Solutions Ecosystem serves clients with complete digital product and service solutions. An established partner network provides the fundamental framework. Customer value is generated when individualized offerings and multi-channel customer interactions are integrated in the Customer Solutions Ecosystem. When this happens, solution offerings are continuously strengthened and enhanced. Digital Leaders play a vital role in building up Customer Solutions offerings. They are in the best position to continuously strengthen and enhance Customer Solutions offerings. They have a good understanding of the needs and preferences of their customers and transform these relevant demand signals into new customer insights. Digital Leaders can strategically position their Customer Solutions Ecosystems to enhance global competencies and market position. Apple and GE was more for joint venture to improve mobility. Ford preferred to establish the organization at the core of the Customer Solutions Ecosystem with collaborative communication among members. Either way, these Digital Leaders recognize the importance of effectively establishing a Customer Solutions Ecosystem. Is it worth the effort in today’s world? In today’s world, global competitiveness is the new game plan. 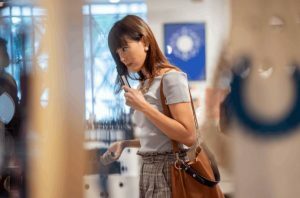 Companies having an end to end Customer Solutions Ecosystem can surely expect to have higher revenue, higher margins, greater agility, and seamless connectivity to operations. Achieving this is no easy task. Digital Leaders have to go through the process of learning the fundamental elements embodying an effective Customer Solutions Ecosystems. As in any battle, one needs always to be prepared and equipped with the necessary tools. Likewise, this is the case in this journey called Digital Transformation. Interested in gaining more understanding on the Customer Solutions Ecosystems? 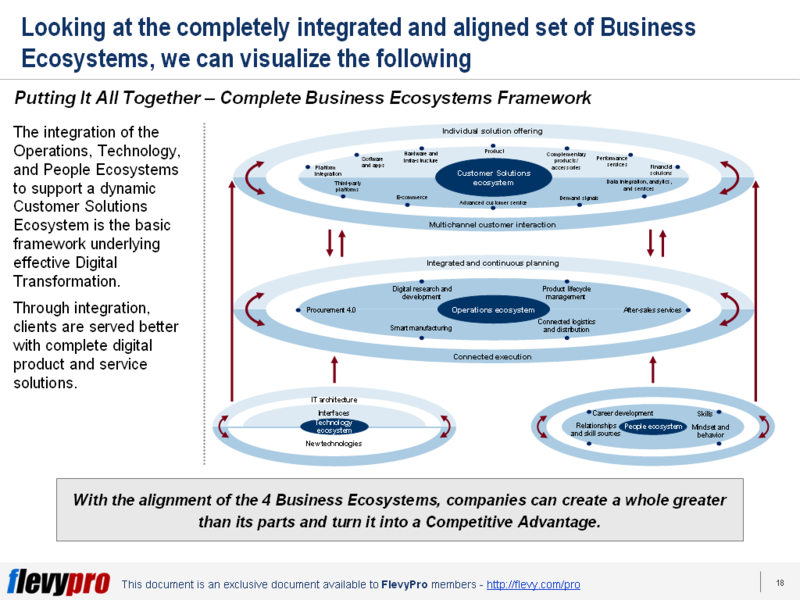 You can learn more and download an editable PowerPoint about Mastering the Customer Solutions Ecosystem within Digital Transformation here on the Flevy documents marketplace.